Stickies are not shown after I logged in. I forget my username and/or password. 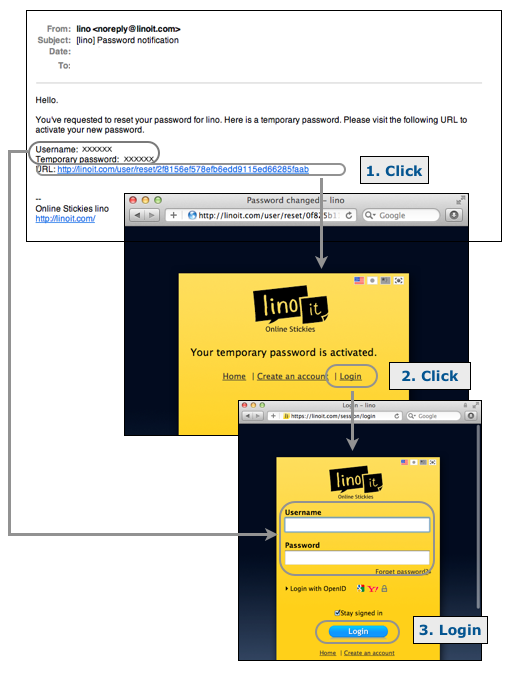 I can’t login to lino. The problem could happen by add-ons or toolbars on web browsers. Please visit the following link and input your username or email address. Visit the link in the email and then login with the username and temporary password specified in the email. When the system time of you computer is in the future, you may not be able to login.